How Can CCTV Improve Warehouse Security? Storage and warehouse facilities are prime candidates to benefit from the use of CCTV surveillance systems. If you manage a large facilities that's spread out over several complexes, it can be a challenge to protect and secure on a 24/7 basis. 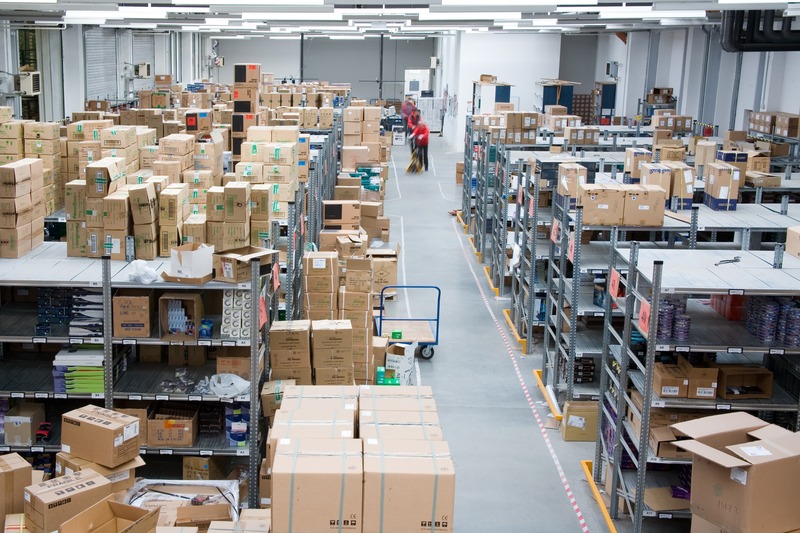 Implementing strategically positioned security cameras can help warehouse managers and owners to focus on at-risk areas, effectively reducint the threats of crime and theft. The following post provides details on how installing CCTV can improve warehouse security, both in the short and long-term. CCTV refers to the use of video cameras to enable viewing and recording areas in your facility. It's most commonly implemented for surveillance in warehouses, and various institutions from correctional facilities, convenience stores, and college campuses. The cameras used are either placed visibly or covertly and can inevitably make a big impact on your bottom line. What Are The Benefits Of CCTV? CCTV surveillance systems have been used for years as a deterrent for criminal activity. Consider this: even when CCTV monitors are not being actively monitored, they can prevent crime; the possibility of being watched or recorded on a camera is enough to prevent many acts of petty theft. Essentially, a person is less likely to commit a crime when they know they could be caught immediately or that hard evidence would reveal them in the act of a crime. In addition, using high definition CCTV will offer the opportunity to improve detection rates. In the worst case scenario, you'll be able to convict someone if they break in to your premises. You can use a Network video recorder (NVR) to broadcast your surveillance footage over the Internet. This approach is quite useful if you manage multiple warehouses, or an usually large facility. NVRs make it possible for you to check up on any warehouse security camera at any time. More nuanced systems even offer the ability to send notifications directly to your phone in the event that the property has been broken into. Being able to monitor your warehouse remotely can also help you to cut down on the costs of employing security officers, which will further enhance your ROI. One of CCTV’s main benefits is that it provides 24/7 surveillance. It’s likely that you have locked the warehouse and may have even linked to a burglar system, however, only a CCTV system can capture the image of an intruder who enters the warehouse. So, in the event that anything has gone missing the following morning, the perpetrators can be quickly identified. Want to improve your warehouse staff’s efficiency? By combining a CCTV surveillance system with embedded audio surveillance, you’ll be able to monitor staff interactions, helping you to provide valuable feedback on performance. With a CCTV system, you’ll be able to survey work areas to ensure staff aren’t cutting corners, and oversee loading areas to ensure materials are being shipped or received as planned. Installing CCTV could have a positive impact on your insurance premiums, though the impact may vary by provider. Essentially, if your insurance company can tell that you've taken steps to reduce your chances of a break-in, they may offer you a reduction in the monthly premiums. If you're currently evaluating whether CCTV is a good fit for your warehouse, ask your insurance company whether this will result in cheaper insurance. While it may be considered a costly investment, CCTV is advantageous for warehouse security and ROI. CCTV's are an efficient deterrent to help improve business security, leaving you with great peace of mind at the end of the day. For expert advice on installing CCTV and optimizing its effectiveness, contact USI Security.